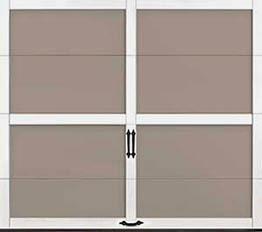 Steel and composite carriage house garage doors with or without insulation. When budget is the deciding factor, this low-maintenance, insulation-optional steel frame carriage house style garage door combines clean lines and classic charm to provide a popular style at a great value. 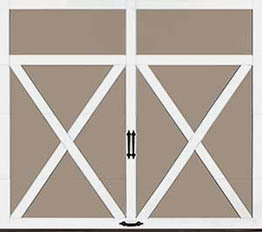 A great choice for both new construction or a low-maintenance replacement, the GRAND HARBOR® collection of garage doors is a versatile carriage house design that complements a wide range of architectural styles. 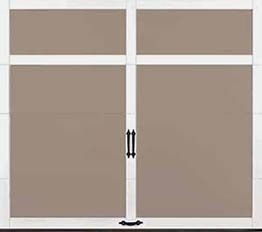 Smooth composite overlays are adhered to a flush 24-gauge steel door, with 2- or 1-layer carriage house construction. Optional 1-5/8" vinyl-backed polystyrene insulation improves energy efficiency. 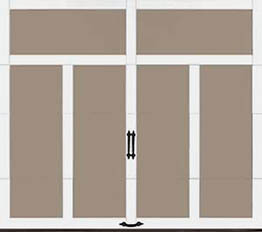 Insulated doors have a 6.3 R-value. 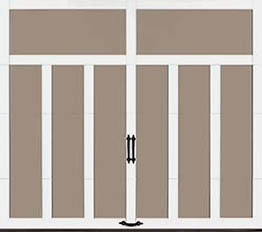 Learn more about GRAND HARBOR® collection construction. Clear, obscure, and acrylic glass options available. 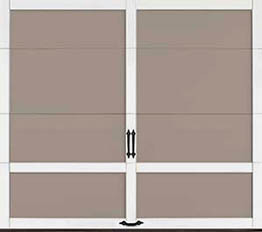 Garage doors come complete with spade lift handles and step plates. Additional decorative hardware options available. 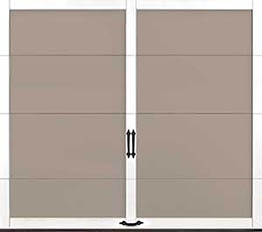 Calculated door section R-value is in accordance with DASMA TDS-163. Color Blast Custom Paint Option Available. Rust-Prevention System - Steel skins are protected through a tough, layered coating system, including a hot-dipped galvanized layer, a protective metal oxide pretreatment and a baked on primer and top coat. 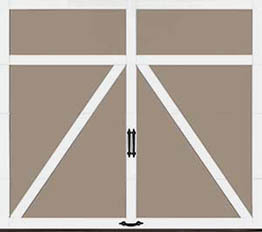 Door sample is shown in white.